Three part harmony Irish vocal group The Ward Sisters with an amazing country tone that is set to take the Country Music industry by storm! 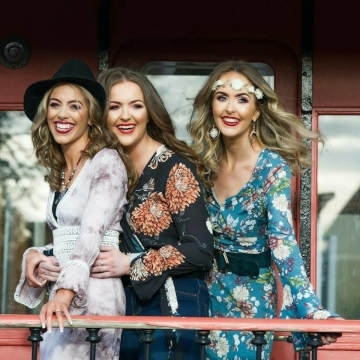 2018 has been a dream year for Colette, Caryn and Cait who have made their mark on the country music scene yet again after winning ‘Best Newcomer’ at this years Irish Post Country Music Awards. The girls first released Mamas teaching angels how to sing” in March 2017 in memory of their mum who died 2013. The Tyrone ladies continued to work hard and later released yet another single in aid of suicide awareness which features a heartbreaking music video. The song titled ‘Why’ reached over 360,000 views in just a short space of time. October 2017 saw the release of the girls first ever album titled, ‘This is Us’. Featuring old country classics to modern day hits, the girl’s album offers a wide range for all country music fans.